Dr. Larry Stikeleather, has had many outstanding industry and academic research accomplishments. Throughout his career, he has been involved in the area of machine design including studies in the interaction of machines with their human operators. He spent 16 years in industry with Universal Oil Products Company and Allis-Chalmers Corporation, during which his contributions and service were focused on innovations in operator comfort and safety of agricultural equipment. He was actively involved in standards development at the national and international level in the area of operator whole-body vibration and ride comfort. Stikeleather pioneered and patented a concept for active seat suspension technology, along with on-board computer control, which allowed the commercialization of active seats on agricultural tractors. His work has received 11 patents in a wide range of topics, including active vibration control for seat suspensions for tractors and construction machinery, rapid extraction methods for bioactive compounds from plant material, and biofuels conversion processes. His latest research involves processes for converting renewable oils and fats to “drop-in” transportation biofuels such as bio-gasoline and bio-jet fuel. Funded by the NC Biofuels Center. For the past 29 years, Stikeleather has been training tomorrow’s innovative engineers teaching program. He most recently taught Analytical Methods in Mechanical Design and Introduction to BAE Methods. He has authored or coauthored more than 90 refereed journal articles, book chapters, conference proceedings, and technical publications. 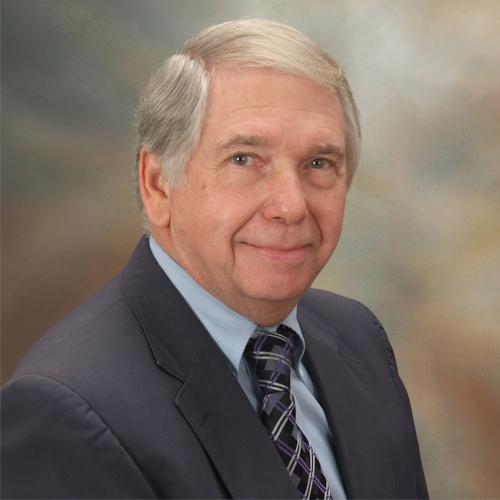 Stikeleather has contributed his leadership and expertise to various ASABE Society technical committees, including the Textbooks and Monographs and PE Exam review committees. He was an ASABE Distinguished Lecturer in the tractor design series entitled Operator Seats for Agricultural Equipment. Stikeleather’s previous awards and honors include a Society of Automotive Engineers Techn ical Board Certificate of Appreciation in Recognition of Outstanding Contributions to the ASAE Human Factors Committee, an Acoustical Society of America Certificate of Appreciation for Significant Contributions to ANSI Standards, and ASABE. He received the Wisconsin Section Engineer of the Year Award. For more than 40 years he has been a member of the Society of Automotive Engineers and achieved the grade of Fellow. On-farm biofuel production for vehicle use and Mechanical and Biomechanical Systems. Meyer, R., Morrow, W. E. M., Stikeleather, L., & Styles, D. K. (2014), Journal of the American Veterinary Medical Association. Mixson, S. M., Stikeleather, L. F., Simmons, O. D., Wilson, C. W., & Burkholder, J. M. (2014), Journal of Applied Phycology, 26(4), 1701–1709. Wang, W. C., Natelson, R. H., Stikeleather, L. F., & Roberts, W. L. (2013), Computers & Chemical Engineering, 58, 144–155. Investigators will develop a method to produce near-ambient temperature CO2 gas from supply truck liquid CO2 using a vortex generator combined with geothermal ground tubes and cold-resistant polyethylene storage "bladders." Based on modeling, simulation and test evaluations, the equipment and procedures will be modified to meet the anticipated conditions representative of potential winter conditions in the upper Midwest climate. Once the system components and procedures have been modified and tested they will be transported to a cold climate site to be field evaluated under winter conditions. Based on the lessons learned from the field test, design specification and procedure documents will be developed. Continuation of our biofuels efforts at converting triglyceride feed stocks into drop-in replacements for liquid transportation fuels. Depopulation of commercial swine operations would likely take place on-site to reduce disease spread. One suggestion made by the swine industry for humanely killing large numbers of swine is to utilize enclosed dump-bed trucks or trailers as on-farm carbon dioxide (CO2) depopulation chambers. Potential advantages to this method over captive bolt, gunshot, or lethal injection of individual animals include the ability to rapidly move animals out of buildings using existing walkways and chutes, the ability to deposit the carcasses at the disposal site, and lower manpower requirements. Implementation of this method will require proactive establishment of protocols ensuring humane conditions while conserving resources and protecting personnel. Although we have demonstrated feasibility of CO2 for on-farm depopulation of adult pigs in a pilot study, the method needs standardization and refinement for all types of swine facilities prior to widespread adaptation in the event of a disease outbreak. The proposed project will result in a defined system for large-scale gas-based depopulation that can be applied to commercial farrowing, nursery, and finishing swine operations in the event of a foreign animal disease outbreak. The system will include loading methods, container identification and optimization, identification of gas delivery methods and performance targets, and time and motion performance specifications. Sweet sorghum is an attractive bioenergy crop because it requires less crop inputs than corn or soybeans, and the juice provides a source of aqueous sugar that is easier to convert into ethanol than starch or cellulose. The development of a sweet sorghum conversion industry would allow marginal lands in North Carolina to be placed in agricultural production and create a bioenergy resource that is sustainable, does not compete with food or feed resources, and provides economic security for rural communities. The Biological and Agricultural Engineering Department (BAE) at North Carolina State University (NCSU) is leading the way in addressing the techno/economic concerns surrounding the production of sweet sorghum for ethanol. The BAE department cultivates sweet sorghum in Plymouth, Wallace, and Clayton, NC to assess the feasibility of using this crop to fuel the transportation systems of the state. The overarching goal of the NC State University EFRI-HyBi program is to develop and demonstrate the technical and economic feasibility of producing high quality transportation fuels from a non-food feedstock, namely microalgae (Dunaliella spp. ).We will refine and optimize a multi-step, catalytic process to produce very high quality hydrocarbon biofuels from lipid biomass (microalgae) that are nearly identical to their petroleum-derived counterpart. Current (1st Gen) biofuels are chemically dissimilar from the fuels they replace, resulting in severe limitations including distribution of the fuel, lower energy density, oxidation/corrosion issues, and cold flow problems. Next generation biofuels, to be successful in the marketplace and accepted by the public, will necessarily mimic the chemical composition of the petroleum-derived fuels using non-food feedstocks. Key advantages of the proposed biofuels process are its feedstock flexibility (with algal oils as the focus), output flexibility/control and very limited hydrogen requirement (this is not a hydrogenation process). EFRI-HyBi seeks solutions to a number of difficult technical problems in converting algal oils into liquid transportation fuels. We will address the technical challenge of oil extraction by investigating two parallel paths using an easily-cultured algae, low energy separation processes to remove unwanted compounds from lipids/FFAs (e.g., phospholipids, etc), efficient hydrogenation into FFAs, optimization of the catalytic decarboxylation process, hydroisomerization and hydroaromitization as necessary, and quantification of the fuel properties. We will also address system architecture optimization and investigate multiple strategies to use byproducts efficiently. The quest for liquid transportation fuels derived from bio-renewable resources (biofuels) has captured the attention of the nation and the world because of escalating petroleum costs and environmental concerns with the consumption of fossil fuels (e.g., global climate change). Currently, there is heavy emphasis on ethanol and biodiesel production in the U.S., with ethanol capacity approaching 6.2 billion gallons annually and biodiesel capacity approaching 300 million gallons annually. While these biofuels have enjoyed some commercial success, they do have a number of shortcomings. These ?first generation? biofuels are typically tied to a single feedstock, resulting in reliance on a single agricultural commodity. Another problem is that the chemical, physical, and combustion properties ethanol and biodiesel (Fatty Acid Methyl Esters, FAME) differ very significantly from their petroleum-derived counterparts, causing causes many operational difficulties. Ethanol, due to its hydroscopic nature, readily absorbs water and thus must be distributed throughout the US via truck or rail rather than through the existing pipeline infrastructure, significantly raising its cost and decreasing its ?greenness?. Ethanol also cannot be used in unmodified gasoline engines and has considerably lower energy density than gasoline, resulting in a reduction in fuel economy and vehicle range. Biodiesel has a lower energy density than petroleum diesel and has a cloud point around 0 ¢ªC, creating obvious cold-flow problems for winter operation. To mitigate these issues, we have invented a unique multi-step process (covered by three provisional patents) to convert virtually any triglyceride feedstock, from crop oils (both virgin and waste) to animal fats (from chickens to cattle) into a biofuel that has virtually identical chemical and physical properties to the petroleum fuel it is replacing. These ?second generation? biofuels do not have any of the drawbacks of the current first generation biofuels. In addition to true biogasoline and a second generation biodiesel, this process is capable of producing an aviation fuel that will be fully compliant with DoD and FAA fuel specs. The market for jet fuel is approximately 40 billion gallons annually (the US Air Force is currently spending $10M/day on JP-8!). The DoD is moving towards a single strategic fuel, replacing Diesel Fuel #2 with JP-8. Thus, it is expected that the demand for jet fuels will continually increase. With some technical assistance, NC farmers have a great opportunity to benefit from the growing need for biofuels and other biobased products that can be generated through bioprocessing of farm-produced biomass. We propose to develop and promote a ?first phase? step toward on-farm bioethanol production by making use of a crop that 1) is well suited to NC soils and climate; 2) provides relatively high production of easy to process, directly fermentable aqueous sugar; 3) unlike corn, switchgrass and other cellulosic crops does not require complex conversions of starch, lignin, cellulose, and/or hemicellulose since the sugars are available directly from the crop; 4) has alternative uses to bioethanol production that can be explored in future development phases, including production of high priority building block chemicals from sugars and value added products and energy from residues/bagasse. The crop we propose to use is sweet sorghum. This grant will assist the development of an on-farm sorghum-to-ethanol production system for the purpose of evaluating the techno/economic potential and the level of grower interest in producing biofuels on farm. Pre-grant lab studies were conducted this fall using the sweet sorghum crop that Mr. Gerald Sykes (Nash County) had grown and offered for our use. Following these studies the grant will allow us to put in place an on-farm system for the demonstration of sweet sorghum-to-ethanol production. The whole stalks were pressed with fodder removed to improve juice quality and yield (Worley et al., 1992). The juice was filtered (for removal of bacterial contaminants) and stored at three conditions (fresh, frozen, concentrated syrup ~30o Brix). The completed fermentations indicated that Red Star® yeast can effectively convert non-sterile sweet sorghum juice (~15o Brix, pH 5.2) to ethanol within five days at ambient temperature (13 ? 24o C). Extension meetings to show and promote the concept will be organized during next summer/fall in the Nash County area with the help of our extension cooperators listed in the proposal. While the location for the on-farm activity is eastern NC, an extension publication based on this work will allow the dissemination of the project results statewide and regionally.